Overdosed of my Busan and Jeju trip post? 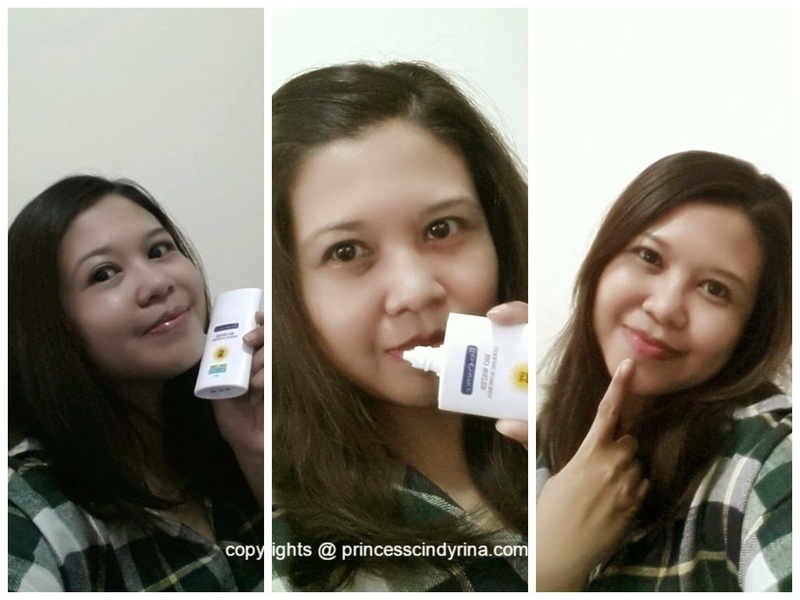 Today is 1st December 2014 and I will start my December with product review. My passion for traveling expose me with sunny rays. I neglected sun protection until lately have a bit of time to focus and concern about beauty care. So busy earnings to survive! Why is it so important to apply sunscreen? * It helps to reduce appearance of facial red veins and blotchiness. 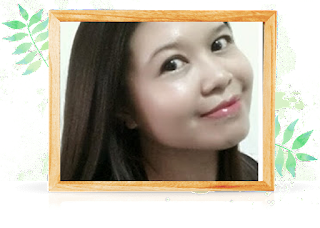 * Helps to slow down wrinkle and premature aging skin. Anyway I apply it anyway...but to find the good one is not an easy task. I am very fussy because I have sticky,creamy,greasy and oily item. I found this Bio Essence Bio Water Cooling Sunscreen while looking for some other item at Watson for my Busan trip. I decided to give it a try since it says Cooling Sunscreen. 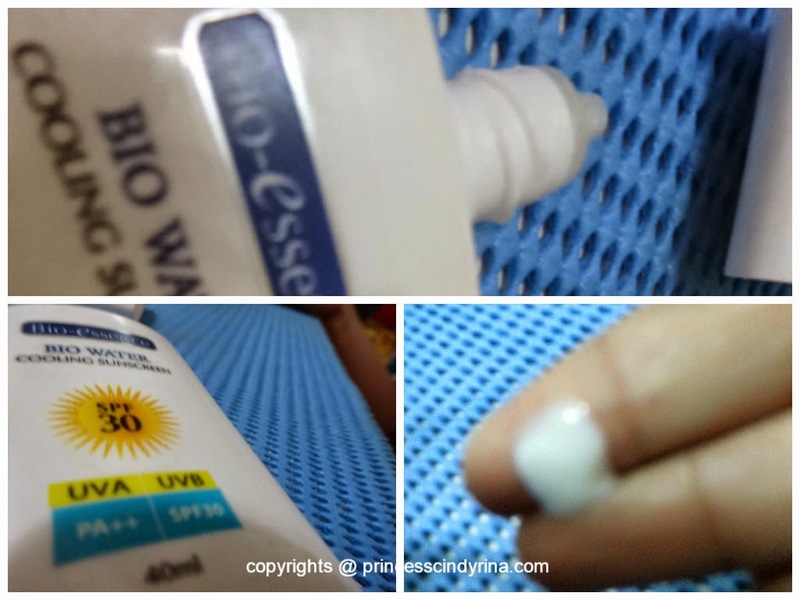 Introducing to you the sunscreen which I never leave home without it....Bio-Essence Bio Water SPF30. They do have SPF56 but me settle with SPF30 because at that time purchase the box of the SPF56 look totally ruined. Bio Water Cooling Sunscreen SPF30 is a water based formula which provides long hours of full face and body sun protections, yet your feel so light on skin. This product specially formulated with Bio Essence Miracle Bio Water which is low in mineral contents and rich in trace minerals. This sunscreen instantly provides 2X cooling and moisturizing effect on skin. It is further enriched with Tranexamic Acid to prevent formation of freckles and dark spots due to sun exposure while keeping skin fair. After application , skin feels cool, moisturized and fair even after long hours of sun exposure. * With SPF30 to provide long lasting protection from harmful UVA & UVB rays. * Provides instant and long lasting coolness to the skin. * With Tranexamic Acid which helps lighten and prevent formation of dark spots and freckles, ensuring fair and radiant skin. * Rich in trace minerals to nourish and moisturize skin. * Fine and light weight texture, leaving no greasy and sticky feel on skin after application. * An ideal make up base for a more refined and natural make up. I love it because it comes with a twist / turn cap and it is easy to open and close. You just need to shake well and apply adequate amount onto face and neck and you are ready! 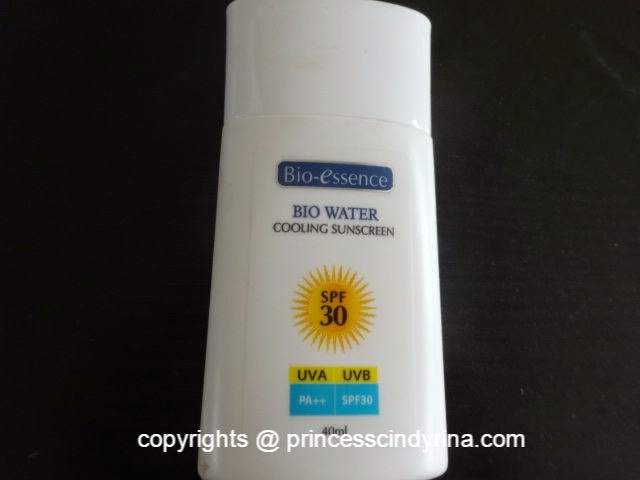 My verdict on Bio Essence Bio Water Cooling Sunscreen SPF30? * It has quite creamy and watery texture. * The cooling effect and easy absorbance to your skin make your skin feel no burden at all. In short...light texture! Totally love this! * It make my make up long lasting too. * This sunscreen is perfect for me! This sounds great. I like the cooling effect too. Our weather so humid-la ..haha..I sometimes stick my face in the fridge. Was looking for a new sunscreen to try. Thanks for sharing and gotta try it out soon! !